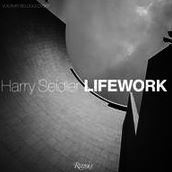 This month Vladimir Belogolovsky, with publisher Rizzoli, has released his book Harry Seidler LIFEWORK. In a career spanning almost 60 years, architect Harry Seidler designed more than 180 projects, from single-family houses and apartment buildings to multistorey office towers and prominent government commissions, mostly in Australia, but also in Austria, France, Israel, Italy, Mexico and Hong Kong. LIFEWORK contains tributes from Oscar Niemeyer and Norman Foster, contributions by Chris Abel, Barry Bergdoll and Kenneth Frampton, Seidler’s biography, interviews (including one with Penelope Seidler) and detailed descriptions of 30 key projects. Click here to read MHM’s review of the book, a comprehensive study of the man and his architecture, in online lifestyle magazine A Magazine.